You want to buy a house, but you’ve always paid for everything in cash. You’ve never had a credit card. Can you get a home loan if you’ve never had credit? It depends. Even though you may feel like you’re the only one who lives this way, you’re not. The Consumer Financial Protection Bureau issued a report saying that “credit invisibles,” those people who have no credit report on file with the three major credit bureaus, make up about 19% of the U.S. population or about 45 million people. If you are a credit-invisible, should you pursue your dream of a no-credit home loan? The answer is yes, but it may take some effort. Notice that the first component of the credit history that mortgage lenders consider, and the one with the most weight, is payment history. Instead of a mortgage loan lender relying on a credit score to determine whether they should extend a no-credit home loan to you, you will have to provide another form of proof to them that you are a good credit risk. You must find something to substitute for it. Some lenders will allow you to substitute a payment history for a credit history, but only with proper documentation. In the past, it would have been unusual if you could obtain a no-credit home loan from a large lender, such as a big bank or large mortgage company. They would simply not be willing to do the work involved for your approval. Times are changing. FICO, the Fair Isaac Corporation that developed the FICO Credit Score, has developed the FICO Score XD which uses alternative data sources. If the FICO Score XD is widely adopted, it could change the landscape for applicants for no-credit home loans. There are also large banks that are developing their own alternative credit scoring methods. Other sources for no-credit home loans are smaller, perhaps local, banks or credit unions. 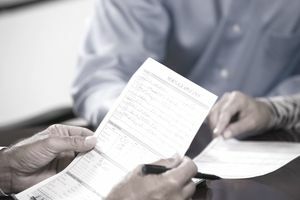 If you have a personal relationship with a lender, such as a small, hometown bank, they may be willing to do the manual underwriting that is necessary in order to process an alternative data no-credit home loan application. If you are a member of a credit union, that is another possible source of a no-credit home loan. In 2016, Transunion Credit Reporting Agency said that credit unions held 11% of all home mortgages in the U.S. The Federal Home Loan Administration (FHA) may be a good source of no-credit home loans. Housing and Urban Development says that FHA cannot use a borrower’s lack of a credit history as the sole reason for rejecting their mortgage loan application. If you can show one year’s worth of on-time payments for such items as rent, utilities, insurance, and other fixed expenses, there is a good possibility that you can get an FHA home loan. If you are credit-invisible and want to obtain a no-credit home loan, it is, unfortunately, possible that you may have to face the fact that you can’t. You may have to wait until you establish credit to obtain a mortgage loan. Apply for a simple, basic credit card and keep your balance at 30% below your credit limit. After six months, you may have built up enough credit to have a FICO score and then you can apply for a mortgage loan.